The Educational Therapy Center in Parkville, Missouri provides specialized tutoring and one-on-one instruction in reading, spelling, fluency, writing, and comprehension using the Orton-Gillingham Approach. This approach is science-based, and has been used effectively for over 70 years to teach reading, writing and spelling to students with learning differences and learning disabilities. Contact us to schedule a dyslexia screening today. At the Educational Therapy Center, we tailor the program to the student’s needs. Our expert instructors are trained to recognize and effectively intervene in the areas of weakness while building up the student’s strengths. Our methods get results. We offer proven, evidence-based interventions for people of all ages and abilities. 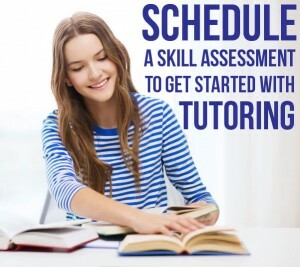 Our tutors are experienced in teaching skills to those students who have not succeeded in learning to read and write to their full potential by conventional classroom methods. Research has shown that early intervention is best. We can assess even pre-kindergarten age children using methods that don’t use letters, paper or pencils. The first step is to get your child screened. Our language skills assessments are offered at a family-friendly fee of $300– because we believe everyone who is struggling should be screened. This baseline assessment will be used to guide the 1:1 tutoring. Unlike franchise tutoring operations, we do not employ salespeople, just expert language skills instructors. Take a moment to learn some of the symptoms of dyslexia. If you suspect your child has dyslexia, a language-based learning problem or learning difference, please don’t wait to take action. Your child’s future is at stake. This website has text to speech. Simply highlight the text you want read and click on the speaker that appears.